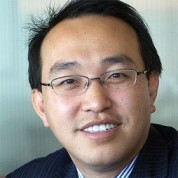 Kevin Lu is the CEO of Partners Group (Singapore) Pte. Ltd., a Member of Partners Group’s Global Executive Board, and a Distinguished Fellow at INSEAD. Prior to joining Partners Group, a global private equity firm with $46 billion AUM, Kevin held various senior management positions at the World Bank Group (WBG), based in Washington DC, Hong Kong and Singapore. Most recently, as a member of its Senior Management Team, he was the CFO and Asia Pacific Regional Director of WBG’s Multilateral Investment Guarantee Agency. He acted as an adviser to the WBG’s sovereign wealth fund clients, was responsible for investment portfolios totaling $16 billion, and participated in complex multilateral funding packages in excess of $25 billion for WBG’s concessional finance business. He also co-chaired Bank Group’s Infrastructure Finance Hub in Singapore, and served on various Bank Group committees, including Emergency Management Team, Business Continuity Management Committee, and Diversity and Inclusion Advisory Group. Kevin was previously associated with Credit Suisse First Boston and Global Risk Advisors LLC, both in New York. At INSEAD, Kevin focuses his research and lecturing on infrastructure investing. He is a frequent speaker at international conferences, including the World Economic Forum (WEF) Annual Meetings in Davos, on topics such as emerging markets and infrastructure finance. He co-authored a book Investing with Confidence: Understanding Political Risk Management in the 21st Century (Washington DC, 2009). Kevin serves on a number of advisory committees for global organizations, including WEF’s Global Agenda Council on China (2012 – 2016), WEF’s Global Strategic Infrastructure Initiative Advisory Committee (2014 – 2015), Institute of International Finance’s Emerging Markets Advisory Council (2011 – 2014) and Nanyang Technology University MBA Business Advisory Council (2012-201). He was named a Young Global Leader by WEF in 2010, and a Future Leader by the Institute of International Finance in 2014. Kevin has published op-eds in the Washington Post, Foreign Policy, Project Syndicate and Huffington World Post and wrote a column for the Wall Street Journal. Kevin says “In China, we call teachers “the engineers of spirits of the human race”. Partners Group, as a global private equity investor actively funding education companies from UK to India, also has first-hand interactions with great teachers from the perspective of an investor. The Varkey Foundation’s Global Teacher Prize is a great way to recognize, reward and invest in the best of these shapers. "My best teachers considerably shaped my thinking and aspirations, in addition to equipping me with academic knowledge. An ancient Chinese saying goes: it may take ten years to shape a tree, and it takes a hundred years to find the best way to shape a person. No task requires more efforts and brings about more long-term benefits to the society than teaching and shaping young minds. "